The library administration is an interface specific to each library. Library administrators can access it to configure library settings and manage daily activities on the library. 1. Open the library homepage. 2. 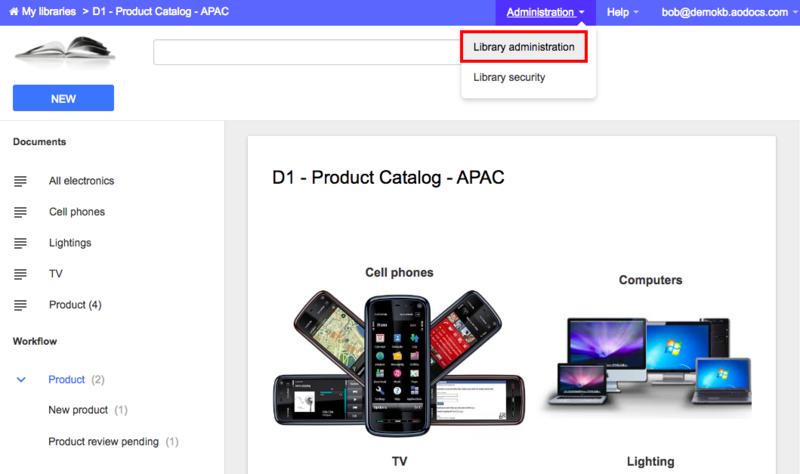 To open the administration interface of a library, open the Administration menu on the right side of the blue ribbon and select Library administration. The library administration interface opens. Library configuration section: This section allows you to configure your library. This includes your document classes, views, workflows, relations and security settings. Library administration section: This section allows you to manage deleted or locked documents, consult ongoing jobs and the library audit log. 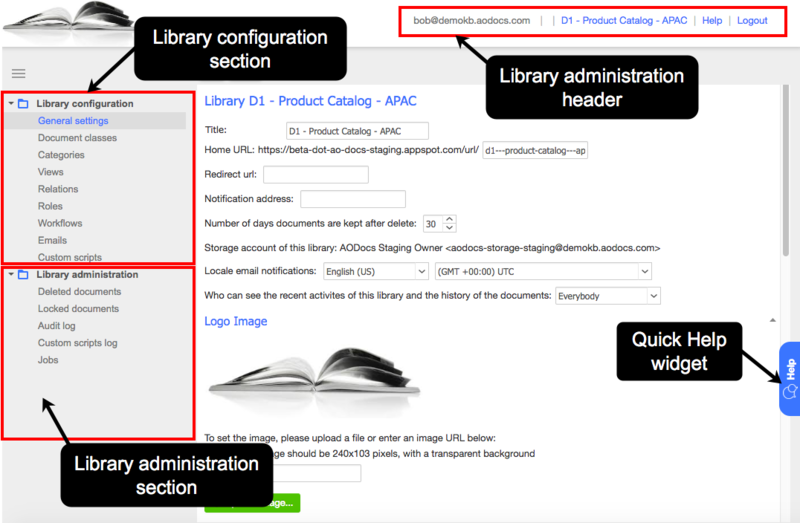 Library Administration header: This section allows you to switch domains and libraries, open the library homepage, access the AODocs documentation website, display the AODocs version and log out. Quick Help widget: This widget allows you to access articles from the AODocs documentation directly in the library administration interface. You can also contact AODocs support directly in this interface. Learn more: What is the library administration?